A lot of people seem to believe that on the Day of Judgment, all of their good deeds will be weighed against all of their sins to see whether or not they have been good enough to be saved. 2 Corinthians 5:10 says, “We must all appear before the judgment seat of Christ, so that each one may receive what is due for what he has done in the body, whether good or evil.” But if we are saved “by grace,” how can this be true? 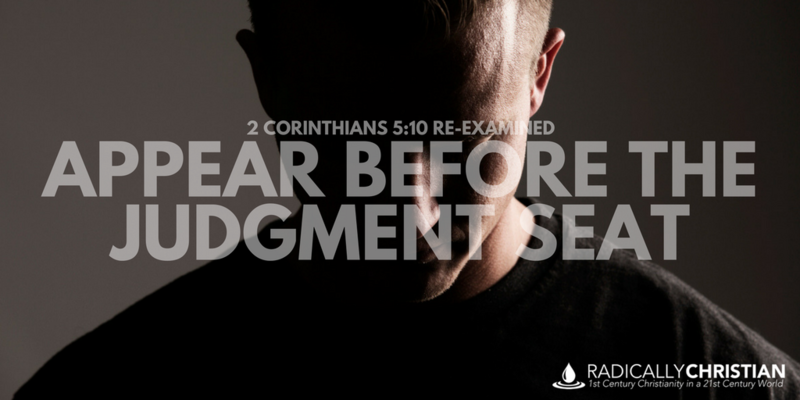 As a part of our “Re-Examined Series,” let’s take a closer look at 2 Corinthians 5:10. Most of us don’t consider that the theme of 2 Corinthians is Paul’s apostolic authority and ministry. Throughout the book, Paul is defending his authority as an apostle against those in Corinth who were criticizing him. His critics seem to have been saying that Paul’s suffering and persecution were evidence that he wasn’t really an apostle of Jesus. They were a constant thorn in his flesh. He told the Corinthians that his suffering actually proved he was a servant of Christ Jesus. He said that he and his companions were “always of good courage,” that they walked “by faith, not by sight,” that they made it their “aim to please [Christ]” (see 2 Corinthians 5:6-9). Throughout the letter, he urged the church, “Make room in your hearts for us” (2 Corinthians 7:2). He reminded them over and over again, they could trust him; he and his companions had not wronged, corrupted, or taken advantage of anyone (ibid.). But Paul was never so bold or arrogant as to brag about himself. 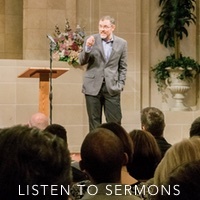 He was always mindful that it wasn’t his judgment that mattered, and it certainly wasn’t the judgment of his critics that mattered, it was the judgment of Christ that mattered. He said, “What we are is known to God, and I hope it is known also to your conscience” (2 Corinthians 5:11). Sometimes it’s easy for good people to become persuaded that an innocent man is actually guilty. The apostle Paul was constantly on trial. Everywhere he preached, there were people accusing him of being a false prophet. It took an incredibly courageous man to persevere in circumstances like that. This is how one should regard us, as servants of Christ and stewards of the mysteries of God. Moreover, it is required of stewards that they be found faithful. But with me it is a very small thing that I should be judged by you or by any human court. In fact, I do not even judge myself. For I am not aware of anything against myself, but I am not thereby acquitted. It is the Lord who judges me. So whether we are at home or away, we make it our aim to please him. For we must all appear before the judgment seat of Christ, so that each one may receive what is due for what he has done in the body, whether good or evil. Therefore, knowing the fear of the Lord, we persuade others. But what we are is known to God, and I hope it is known also to your conscience. Paul wanted to be judged by Jesus; not because he thought he had been good enough to be saved, but because he knew Jesus would vindicate him that he truly was a faithful servant of Christ. Paul knew that in his previous life of persecuting the church, he had become the “foremost” sinner (1 Timothy 1:15). He knew he did not deserve to be justified in God’s sight. He knew it was a gift of God that he had been saved and that his right standing before God had nothing to do with his good works (Ephesians 2:8-9). But he also knew that he was telling the truth about being an apostle. He knew he was hiding nothing. He knew he was deceiving no one. He knew he was being faithful to his calling. And he knew that on the Day of Judgement, Jesus would make all of that clear. He also knew his wicked and deceitful critics would be judged. He knew that all of their scheming and manipulation would be brought to light by Christ. We should all have the same mentality as Paul. We should be confident that we are in a right relationship with God because of the blood of Jesus. We should boldly and courageously go about doing the good works God has prepared for us to do (Ephesians 2:10). And we should not let people’s criticism stop us. Criticize if you want, but we will all stand before Christ’s judgment seat and there is “no condemnation for those who are in Christ Jesus” (Romans 8:1).